With all 60 vineyards across the state, and over 20 vineyard and tasting room locations in and around Sedona encompassing the Verde Valley, Wine Tours of Sedona has the perfect tour for everyone. Whether you are new to the world of wine or an experienced wine connoisseur, we have the perfect tour to suit your interests. Some people enjoy wine, for others, there’s nothing better than a locally crafted micro-brew. With over a dozen micro-breweries throughout northern Arizona, we have plenty of delicious beers for you to enjoy. Wish to combine a beer and wine tasting? We can do thast too. Join us for one of our Raw Chocolate Tours, where you will not only learn about the geological wonders of why our rocks are red, but also get to enjoy some of the most delicious and nutritious chocolates available to man. 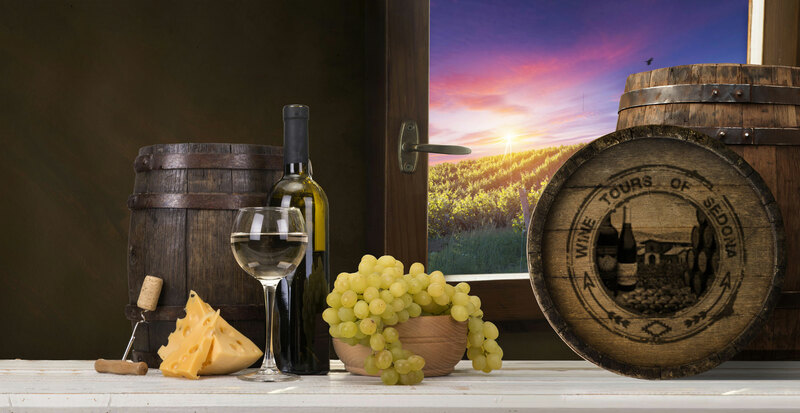 Special for guests of Wine Tours of Sedona, Vino Di Sedona offers a charcuterie board with three cured Italian meats, three cheeses, bread, fruit, olives and figs. Staying in the Phoenix metropolitan area and don’t have a rental car? No problem. Ace Epress Shuttle Service is a locally owned company and have been offering shuttle service for over 15 years. 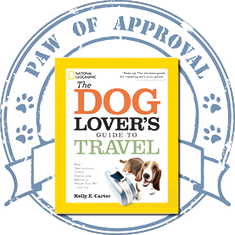 National Geographic's "Paw of Approval"
We are one of the few tour companies in Sedona that is pet friendly. So if you are traveling with your family dog, they may go for free on all our tours. Allow us to share with you some of the things we love – the beauty of the Verde Valley Wine Trail and the great variety of wines produced here, where each wine is as unique as the vineyards themselves. Each vineyard and tasting room is as individual as the owners who operate them. Whether you enjoy bold reds, fruity whites, sweet dessert wines, or anything in between, our wine tours have something to satisfy the most discriminating palette. Whether you are a group of friends or family, a corporate group, a couple wanting a romantic getaway, or a bachelorette party looking to get a little wild, we have the perfect tour for you. 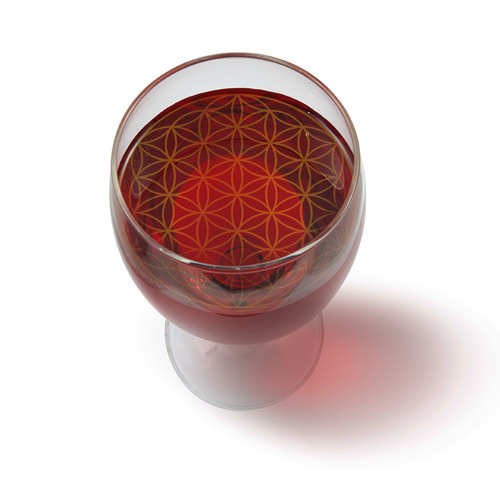 If you are really enjoying that wine sample, have a glass. It’s your time, your tour. We never rush you so sit back, relax and enjoy! Wine Tours of Sedona gives you complete flexibility throughout your tour experience with us. We serve everywhere along the Verde Valley Wine Trail which includes 8 vineyard locations, 18 wine tasting rooms, 2 raw organic chocolate shops, and so much more. For those wanting to sample as many different local wines as possible while enjoying the local cuisine, any of our Sedona’s Scenic Wine Country Tours are perfect for you. These tours range from 3 hours to 8 hours, or longer and are customized to your group. Although most wine tours begin at noon,we allow you to pick the time your tour starts. Wherever you are staying in Sedona, whether it is a hotel, B&B, or vacation rental; we pick you up and bring you back as part of your tour experience with us. We can include lunch into your tour for just $22 per person or dinner into your tour for just $55 per person, or for a flat $150 we can extend your tour by 3 hours and take you to the restaurant of your choice (we are happy to make recommendations), give you time to have dinner and take you back to wherever you are staying. Depending on your interests, palette and budget, you have the option and flexibility to either include your wine tastings on your tour or you may pay for them yourself along the way. The choice is up to you. "Fun day with jim as our guide soaking in verde valley sun and sipping wine at our pace. Completely customized tour to suit our liking including diversions to requested points if interest, conscious of our time constraints." "My boyfriend and I took a wine tasting tour in Jerome, AZ. After doing some research to see which we would like to do, we decided on Red Rock Adventures-specifically because we were able to take Summit, the husky along with us. Jim was our guide, and he was fantastic!!" "When Jim says he wants to make you happy, he means it! he was very knowledgable of the wine and the area. Everyone knew him at all of the vineyards and they took care of us because we were with him. I highly recommend Jim for any type of tour in the Sedona area. You will not be disappointed!" "We did a tour with Jim a while back and it was one of the best tours I've been on! It's awesome that you're able to bring your dogs, even though we don't have one quite yet. We did the wine tour and Jim is a fantastic host! We will definitely book with him again the next time we find ourselves in Sedona!!"